This is part of an ongoing series featuring each country where Rustic Pathways operates. To see more posts from the A to Z series to help you evaluate Rustic’s teen travel programs, click here. Aboriginal People. The Aboriginal People are the traditional owners of the land in Australia. They lived in harmony with the land for thousands of years before settlers began to arrive in the 1700s. Today they make up about 3 percent of the Australian population. Barbie. No, not the doll. We’re talking about a barbecue! Australia has public electric barbecues that you can use for free in parks and along beaches all over the country! Bring a few snags (sausages), and some tomato sauce (ketchup) and you’ll be ready to feast! 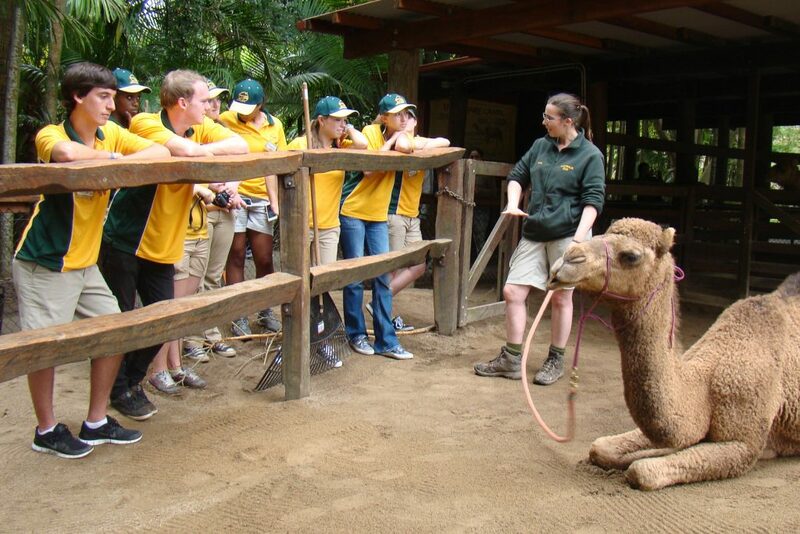 Click here to review all Rustic Pathways spring break and summer programs in Australia. Convicts. Many of Australia’s first settlers were convicts, sent to live out their lives in the colony of Australia as punishment for crimes committed back home in the United Kingdom. Today, having convict heritage is a source of pride for many Australians. Didgeridoo. A long, tubular instrument that comes from Aboriginal Australian culture. It is played by pressing your mouth to one end and buzzing your lips together. It’s not quite as easy as it sounds, but with dedication, you can get the hang of it pretty quickly. Emu. This giant bird can grow to more than six feet in height! If you want to get an emu to come closer to you, try lying on your back and pedaling your feet in the air like you’re riding a bike—it will get curious and come closer to check out what’s happening. Football. If you’re from anywhere in the world other than Australia, this probably makes you think of either American football or soccer. If you’re an Aussie, however, you think of Australian rules football, a high-contact sport played without protective pads on an oval field with an ellipsoid ball, which is similar to an American football. Great Barrier Reef. 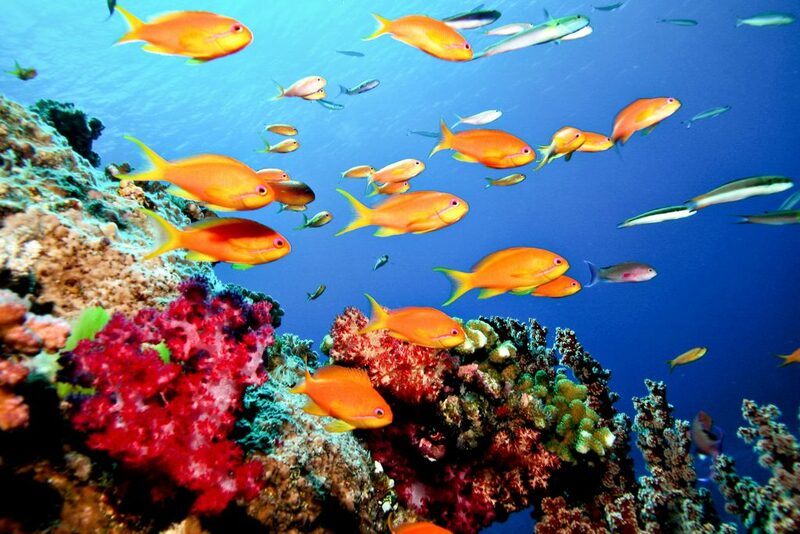 One of the Seven Natural Wonders of the world, the Great Barrier Reef is the world’s largest coral reef and is the only natural wonder visible from outer space! Get to know the reef up close over the course of 21 dives on our Great Barrier Reef Dive Expedition. Humor. Australians are a good-natured and fun-loving bunch who pride themselves on their sense of humor. The whole idea of political correctness doesn’t hold much weight Down Under and no subject is off limits when it comes to having a laugh. Island. 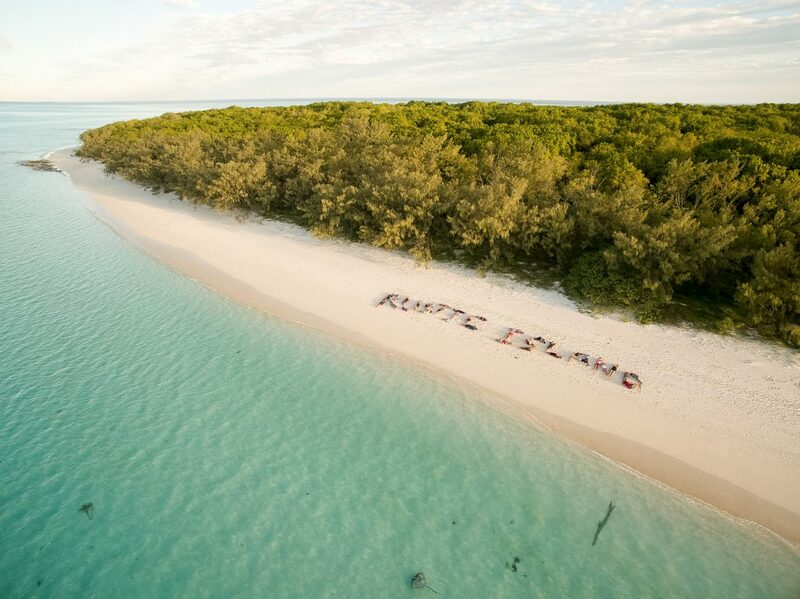 Where else in the world can you find out what you’re made of by surviving on your very own deserted island? Learn survival skills, enjoy your island paradise, and test your mettle during our Island Survival. Jabiru. This is the name of Australia’s only stork, but it’s also the name of an amazing farm we visit on several of our programs in Queensland. 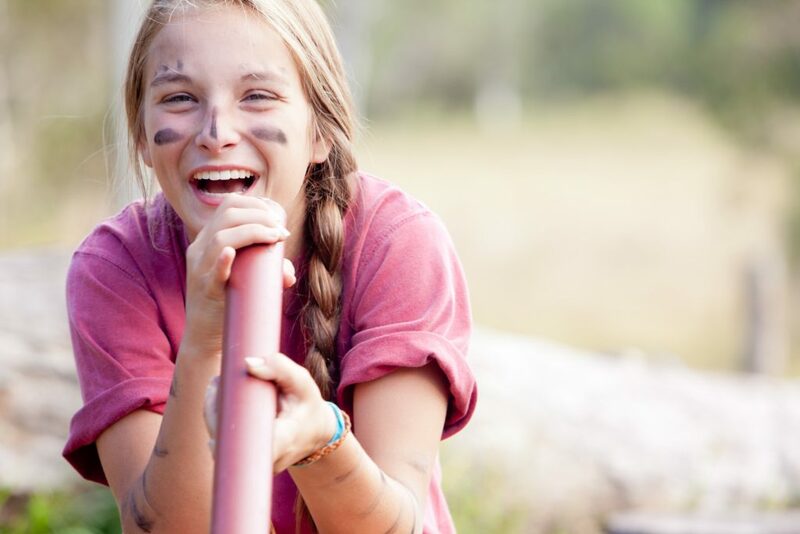 Try living like the first Australian settlers sleeping in swags (one-person tents) under the stars and learn classic Australian skills like throwing a boomerang, playing the didgeridoo, and cooking damper (traditional Australian bread) over the fire. Visit Jabiru on Awesome Aussie Service Adventure or Young Explorers Land Down Under. Kangaroo. Apologies in advance to all the vegetarians reading this. In addition to being an iconic symbol of Australia, our cute, hopping, furry friend also makes for a tasty meal. Kangaroos have a much smaller ecological impact than cows, and their meat is much leaner and healthier. So when you come Down Under, try a ‘roo burger! Lifesavers. The beaches in Australia are patrolled by volunteer surf lifesavers—young lifeguards who are highly trained in surf rescue and resuscitation. Since Surf Life Saving Australia was established in 1907, more than 650,000 people have been rescued by surf lifesavers. Mate. Want to sound like an Aussie? This is the number one word to work into your vocabulary. Let’s try it together: G’day mate! Noosa. This little resort town on the Sunshine Coast offers a lot of awesome activities. From an adrenaline-filled jet boat ride jumping over the waves alongside dolphins to relaxing on the pristine beaches, searching for koalas on a hike around the headland or enjoying some world-class shopping, Noosa is a favorite destination on our Sunshine Coast programs. Outback. Did you know that the Outback isn’t a specific place? Instead, it’s a general term used to describe sparsely populated areas. 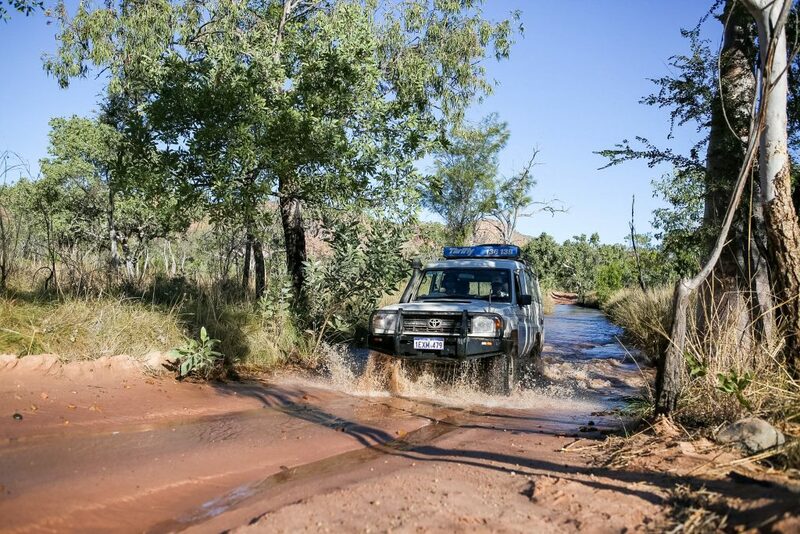 On Epic Outback, you’ll try out Outback life and experience some of the most remote and incredible parts of Australia. Pie. When Americans think of pie, they think of dessert. In Australia, pies are savory and include meat—they’re a key component of the Australian diet. They are the perfect size to hold in one hand and available everywhere, from bakeries to roadside gas stations. Once you try one, you’ll wonder why this wonderful culinary delight hasn’t caught on around the world and you’ll miss them when you’re home. Queen. As a constitutional monarchy, Australia’s head of state is Britain’s Queen Elizabeth II. She mostly allows the Australian government to operate without interference and Aussies have a deep love for the royal family. Many follow news of their private lives as avidly as many Americans follow the Kardashians. Red Centre. The Red Centre is the nickname given to the desert region in the heart of Australia, which is known for its bright red earth. Alice Springs, Ormiston Gorge, Uluru, Kata Tjuta, Glen Helen Gorge, and King’s Canyon—these are some of the top destinations in the Red Centre, and you can visit them all during Seven Wonders of Australia! Steve Irwin. Known worldwide as The Crocodile Hunter, Steve Irwin is beloved throughout Australia. Although he died tragically in 2006, his positive impact on conservation continues even now. Hear stories about Steve from some of his best mates when you work alongside them in Cape York during the Steve Irwin Wildlife Reserve Project, one of Rustic’s programs designed for college students. Ta. People in Australia say ta sometimes instead of thank you. Uluru. 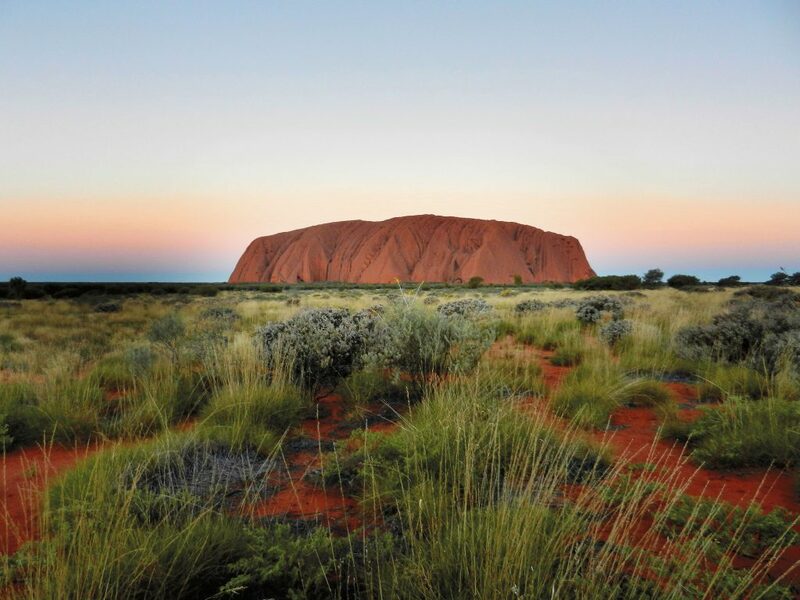 This iconic red mountain in the center of Australia, also known as Ayers Rock. It’s of huge spiritual significance to the Aboriginal People and is an incredibly beautiful and impactful place to experience. Visit Uluru during Seven Wonders of Australia program and take the opportunity to skydive above it. Vegemite. Listen closely: NEVER EAT A SPOONFUL OF VEGEMITE! Despite its appearance and the fact that people eat it on toast for breakfast, it’s nothing like Nutella. Instead, ask an Aussie to make you a piece of vegemite toast with butter, and you might find you want to get a jar to bring home with you. Winter. If you’re from the Northern Hemisphere, it’s important to remember that the seasons are opposite in Australia. If you’re visiting from June to August, it will be winter Down Under. While many parts of Australia stay relatively warm during the winter, you’ll definitely need a few sweaters in the places that drop close to freezing at night. Xerothermic. Meaning extremely dry and hot, this is an accurate description of the majority of Australia’s landmass. About 70 percent of Australia’s landmass can be classified as desert. Yum. Australia has some amazing candy (called lollies in Australian English) and snacks. Make sure to try out Cherry Ripes, Caramello Koalas, Twisties, Milo, Shapes. And ask your Aussie Program Leaders to teach you how to do a Tim Tam Slam. Zoo. Australia Zoo, that is! Rustic Pathways has an exclusive partnership with this amazing organization. On You, A ‘Roo and Australia Zoo, you can work behind the scenes assisting zookeepers with their duties and getting up close and personal with koalas, wombats, wallabies, echidnas, and kangaroos! If you’re not sure which Australia program is right for you, request a call from one of our global program experts who can help you identify the perfect fit!